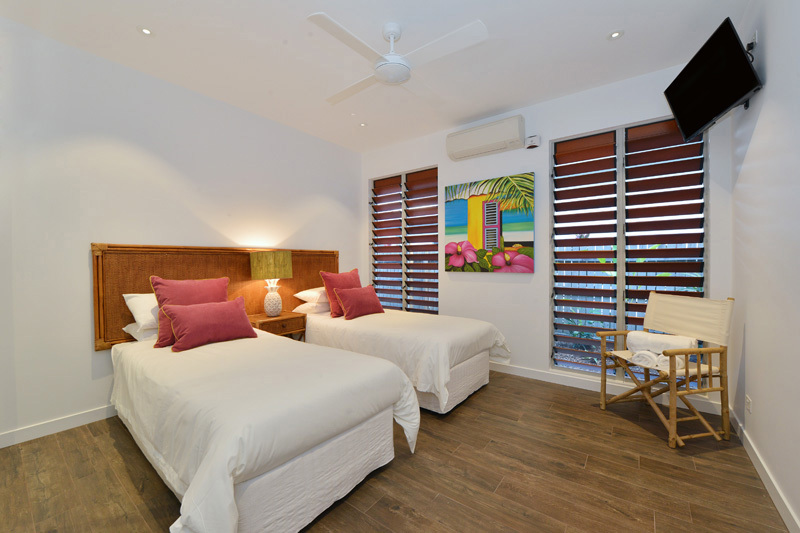 to close your eyes and feel the Carribean breeze wash over you, be moments from the beach and relax with a sunset cocktail knowing your whole family is having the time of their life, all with a sense of intrigue excitement and romance. 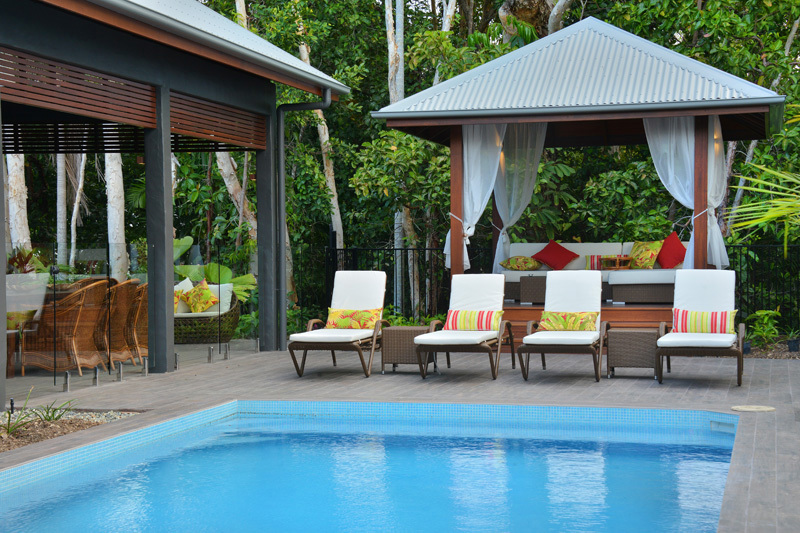 This magnificently indulgent home is inspired by the influences of early century British Colonial, West Indies and Islander history, the first accommodation of its kind in Port Douglas. 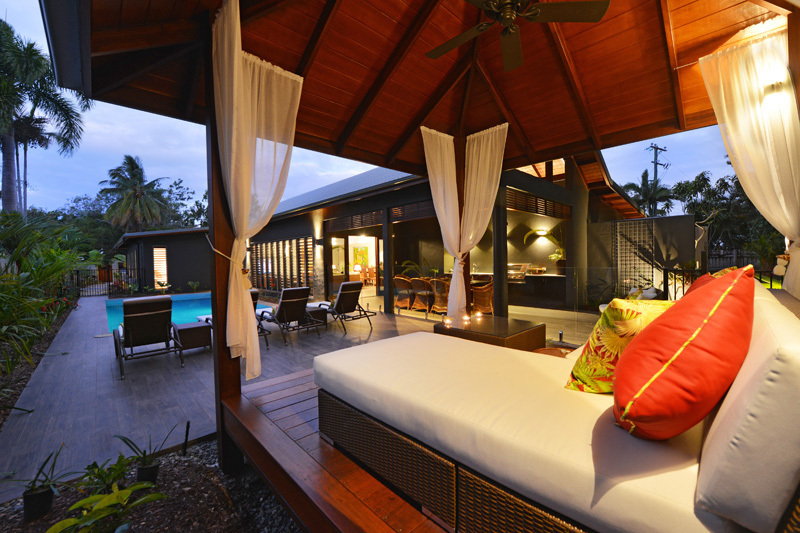 This is luxury living and a stones throw to the beach. Bahama style on your doorstep…literally as you walk through your entry way and into the high pitched foyer, an amazing tropical experience awaits! 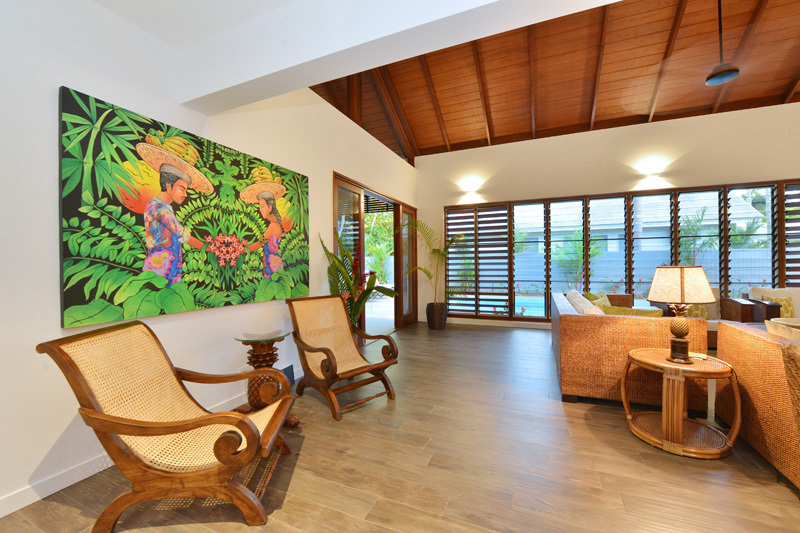 Take a 1 minute stroll to the golden sands of 4 Mile Beach and plunge into the warm waters of the coral sea or swim in the crystal clear water of your own private pool. 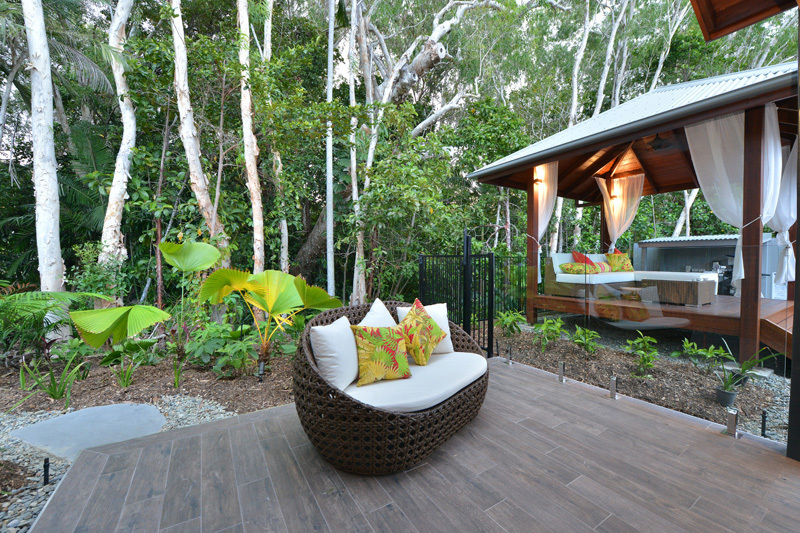 Soak up the suns rays on a sun lounge or read a book under the shade of the raised Pergola. Enjoy the colors and splendor of tropical plants around the pool. 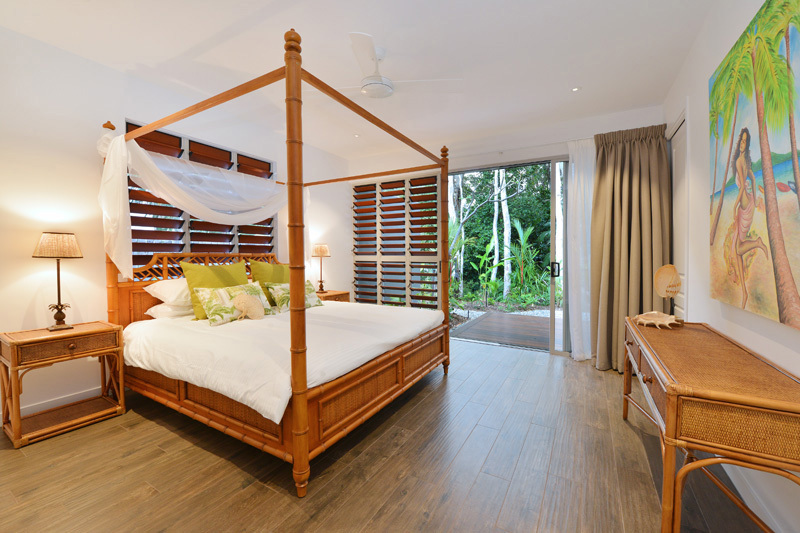 Relax on a daybed at your own piece of private rainforest from where tropical parrots and birds will greet you each morning. 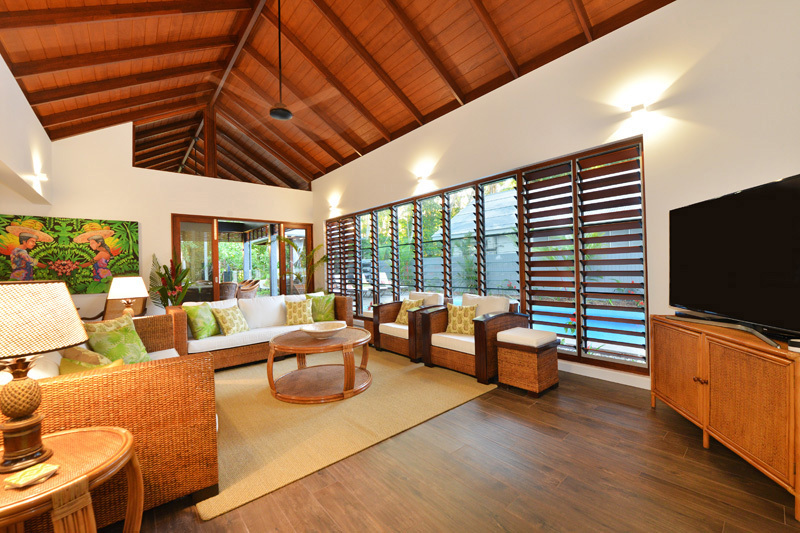 When you and the children need a break from the pool, there is the large screen TV, DVD's or maybe a board game. 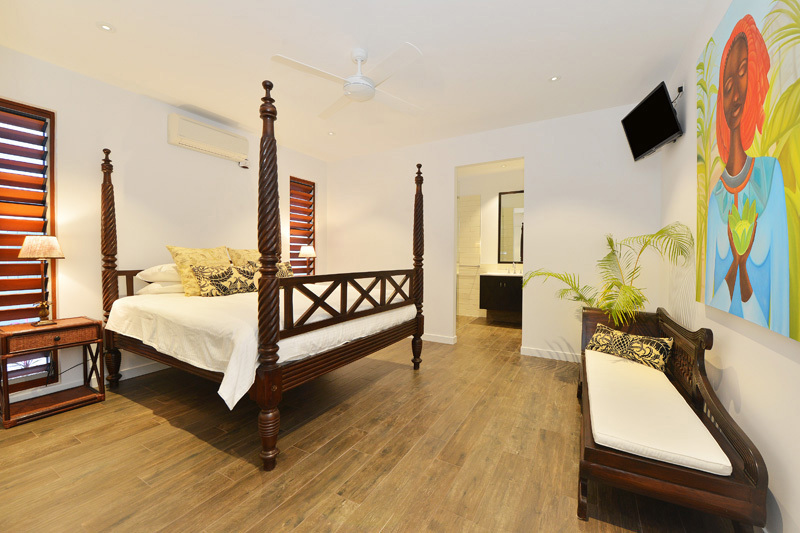 Hook into the Wifi provided and go online or quietly watch TV provided in each bedroom. 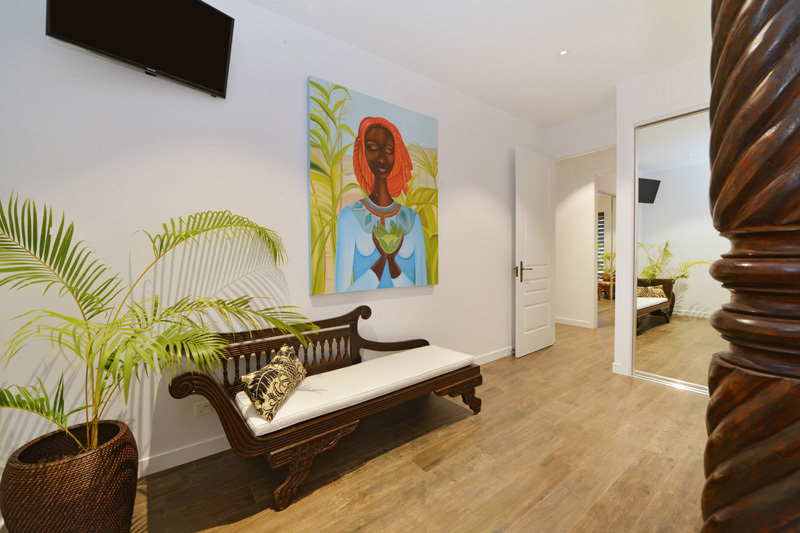 In the evening, decide whether to take a short walk to one of the many nearby restaurants, hop on the shuttle into town or maybe have a BBQ at the poolside Alfresco dining area. 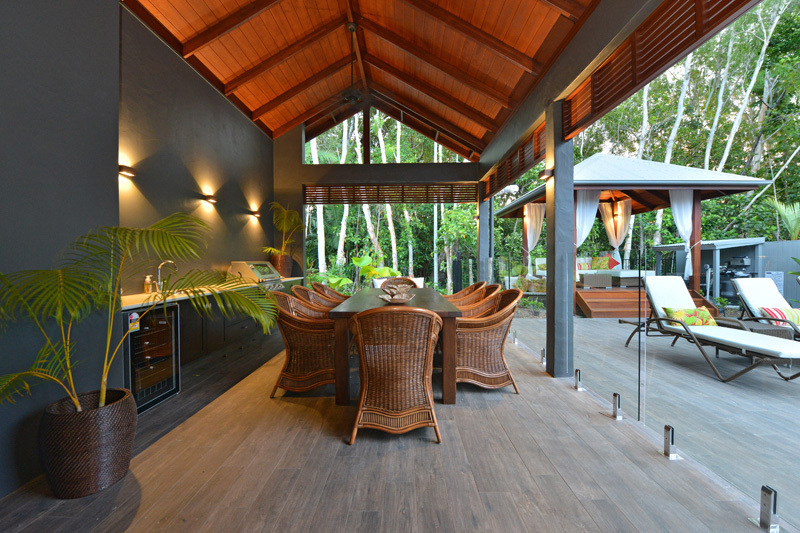 A large built in BBQ, Outdoor bar fridge and beautiful outdoor dining setting will ensure this dinner choice becomes a holiday favourite. 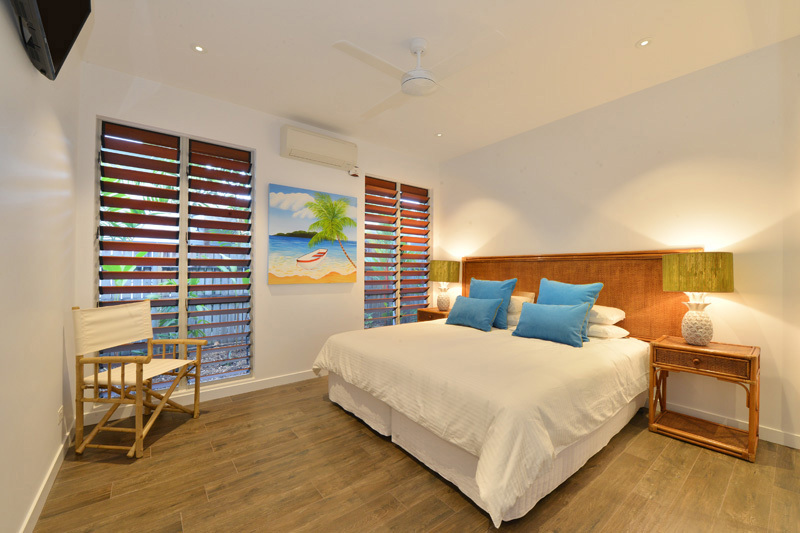 At night, sleep with the shutters open safe behind fly screening and listen to the sounds of the tropical north or simply close up the room and turn on the air conditioning. 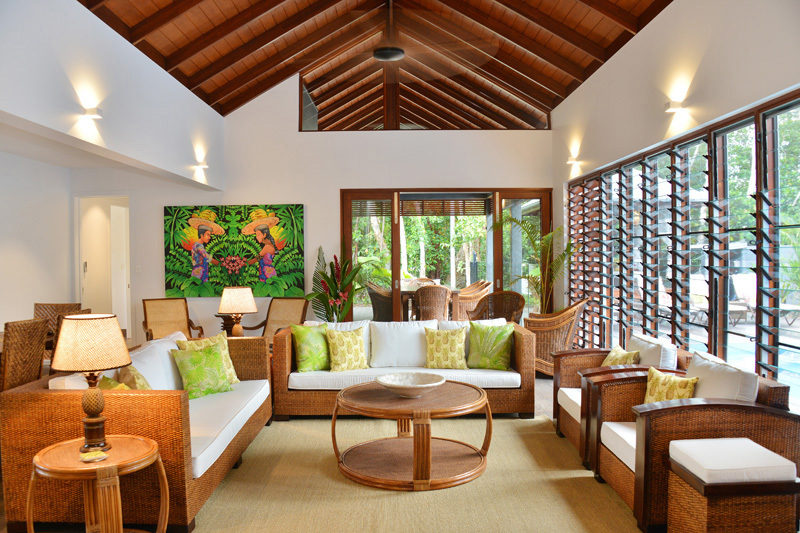 With three Master suites to choose from, Caribbean architecture in the entertaining pavilions and a breathtaking tropical landscape, you can live the dream! 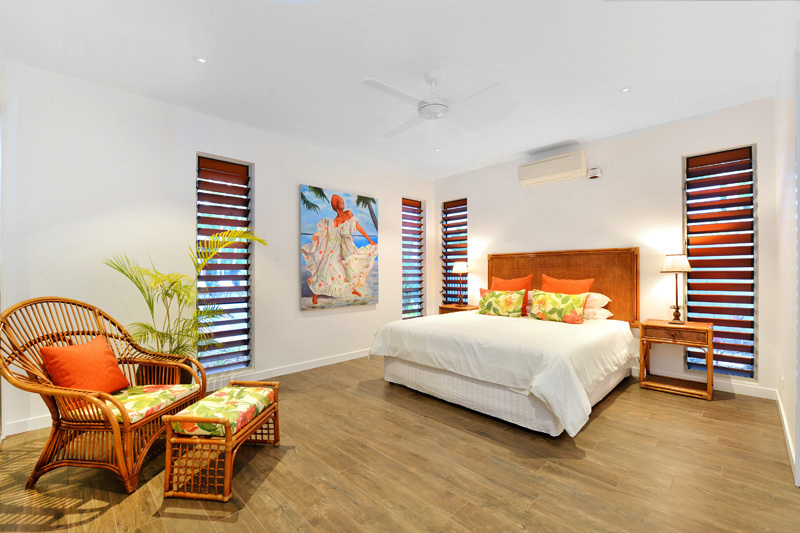 Those that want a luxury tropical experience with a touch of Caribbean. Twin ovens, Huge Fridge/freezer with chilled water and ice making. For coffee lovers, a Nespresso machine and a blender for those evening cocktails. Large TV’s, DVD, Bluetooth UE boom. Library area for study or children’s games. Books, DVD’s, pool toys & beach bags provided. Separate toilet and change room near the pool. 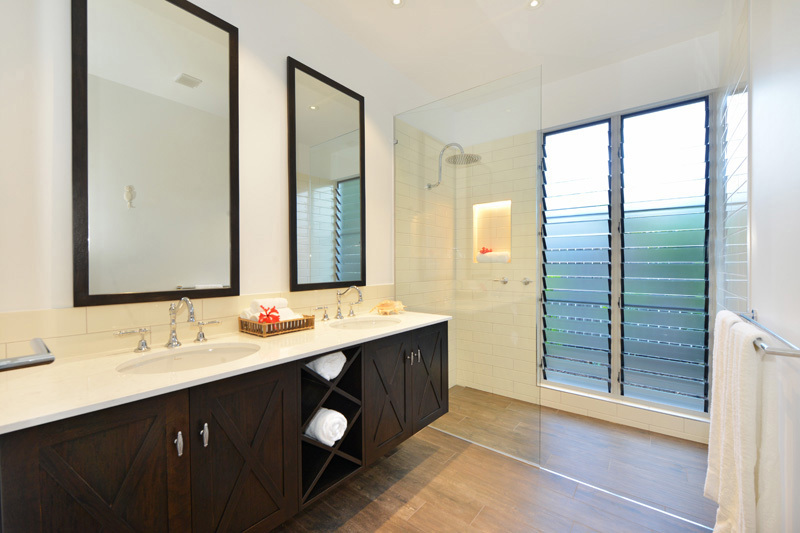 Beautifully appointed indoor powder room. Walk to the beach via ‘the secret pathway’! Pool Heating to 28 degrees available for an additional charge of $35 per day. July and September School holiday periods attract a rate of $1,050 for the entire house. 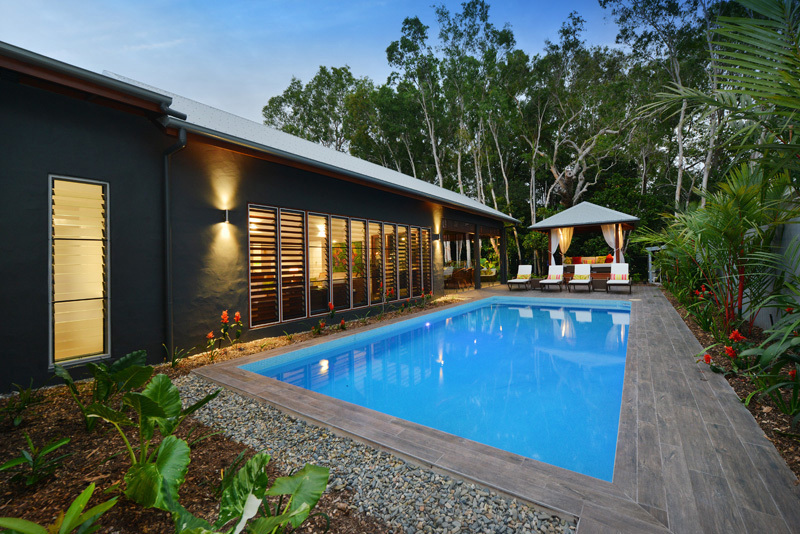 2017 WINNER - The Bahama House - Best Private Holiday Home -voted by our guests in the PD Business & Tourism Awards. 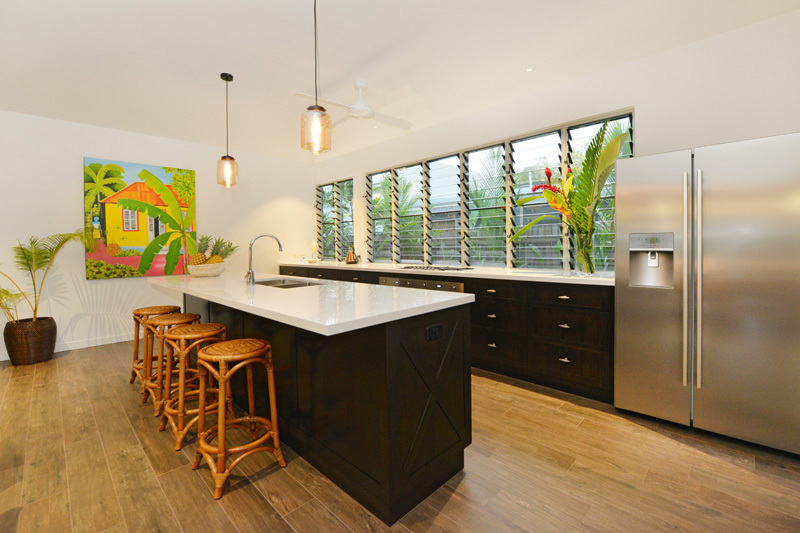 2017 STAYZ FINALIST - The Bahama House - Interior & Design Category. Many thanks for having us as your first guests in this amazing house. We had an absolutely fantastic holiday. 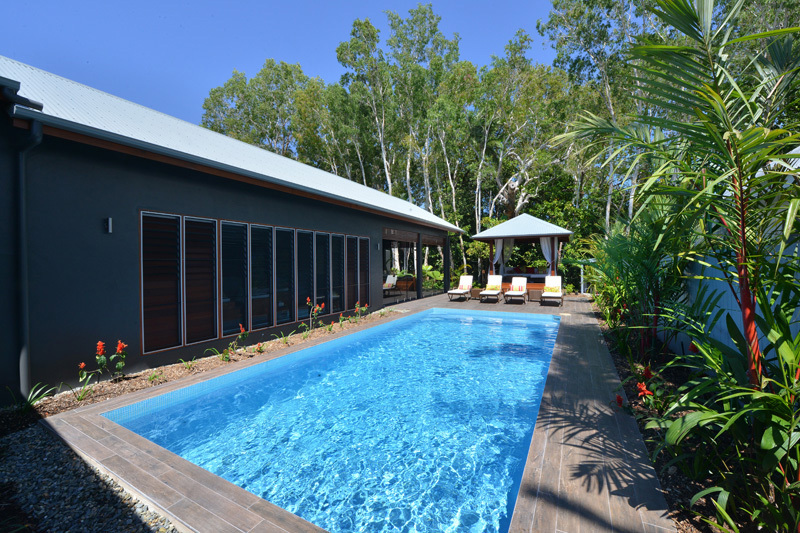 Port Douglas is family holiday paradise and your stunning house with everything thought of was the cherry on top! We hope to be back very soon. From our family to yours, thank you for providing such a gorgeous tropical escape. We truly needed a haven to relax and unwind together as a family and The Bahama House was a perfect retreat! We loved going troppo finding all the pineapples around the house and the pool was an absolute hit with the kids.